The Hebrew Academy of Orange County celebrated students community service projects at the annual Mitzvah Night on November 27th at the Alevy Campus. The celebration highlighted the impressive and diverse community projects the students worked on and completed. Each grade was involved with a different project to help out communal organizations locally and globally. The projects were presented by students with the representatives of the organizations in attendance. Some of the organizations highlighted were Bubbe and Zayde’s Place, Support Our Troops, Simchat Shabbat OC, Friendship Circle, Fill the Food Pantry for LBCC, 2nd Smiles for Seniors, and others. It is a Mitzvah to bring light to the world, especially in difficult times. 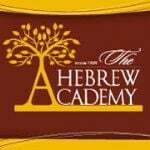 The Hebrew Academy of OC instills values of contributing to society to our students. This Mitzvah campaign has become even more meaningful to our students because they have come up with, planned, and executed these acts of loving kindness for others.